Our last committee meeting of 2016 is scheduled for 7pm tomorrow evening in Starbucks in Airside. All members are welcome to attend and the agenda is attached for your info. We will be starting on time as some of us will be heading onto the NER regional meeting for 8.30. Ahead of the Cheval meeting if you can review the club website http://chevalridingclub.com/ which has been recently updated and will be on the agenda for discussion along with the survey results. Any member who has end of year trophies, please bring them to this committee meeting or arrange to meet a committee member today or tomorrow to hand them over if you have not already done so. NER Ball tickets – I can take names and money tomorrow from anyone who would like to order tickets. NER ball – this is always a great night out and tickets are now available for the event in Kettles Hotel on 3rd December. Tickets are €50 & sales will close on sat 5th Nov. If you would like tickets, you can mail/text/phone me with details of how many tickets you would like. A cheval member has recently retired her horse and is looking for a suitable horse to loan with a view to buy. The horse needs to have some experience and to be able to jump up to 80cm. A five start home awaits so if you have something suitable please let me know and I can put you in touch. 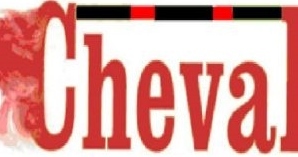 The next Cheval committee meeting is 5 Oct in Starbucks in Airside @ 7.00pm. All members welcome.